Cartoons are the foremost type of animation that we witness being a kid. It is the first of a kind that amuses us. We get addicted to our favorite cartoons from the time we know nothing about animation. The colorful theme, appealing figures and humor-induced scripts all seems to be so consuming that one pays very little attention towards actually knowing what it is. However, as a viewer grows up and learns about the wonders of technology he begins to look for options to discover and create that thing on his own. Your lack of expertise should not create the hurdle between your passion and desire. 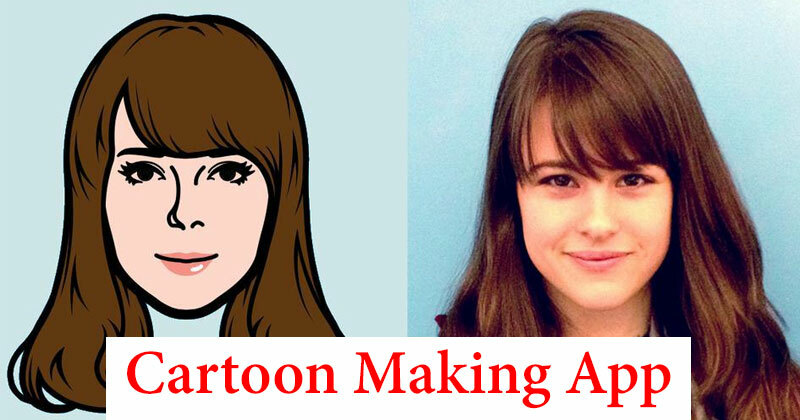 You can create your cartoon yourself online or develop compelling animation using a large range of tools and efficient apps. Get down to the list mentioned below and learn about some of the valuable Cartoon Making app. Does a 3D avatar fancy you? With Meing you can not only create but can play with your avatar. The app is integrated with advanced technology that enables efficient face recognition facility. You can get your face detected and create an appealing avatar. Moreover, there is no need to keep those chubby cheeks the way they are, you can tone down your looks and enhance the attractive flair within your creation. You can work on your body features to make ahead to toe avatar. Moreover, you can even add some fashionable clothes as well to improvise the look. The Cartoon Yourself app will let you transform the image into a cartoonish animation. Within less than a fraction of a second, you can cartoon yourself online. The app has an easy to use interface with a lot of bushes, options, and features to help and guide the user. You can browse through a huge gallery of 12 major types of styles or cartoon types and see yourself in them. You can add text, cartoon effects, or even add sketches and drawings. You can crop your image, resize it, and use it wherever you want. Bobble keyboard app is an efficient GIF sticker keyboard that enhances your level of communication. With this app, you will never get bored or tired. The app provides a wide range of stickers, emoticons, and GIF images. It allows personalized effects, which you can adapt according to your needs. Moreover, the app is absolutely free of cost and it makes you play around with animation in a breeze. You can enhance your facial expressions and can even use it in your group chats. Bubble makes the fun unending. Sketch me is basically for beginners and novice users. The app has many short tutorials to guide users. Like all other apps, it also allows you to create appealing cartoon photos. It provides more than twenty filters, effects, and features to enhance the look of your image. You can indulge in the nonstop fun and share your transformed images with your friends. MomentCam is one of the most famous apps used by over 300 million people. The app is full of stickers, and filters to help users in transforming their pictures completely. You can edit the hairstyle, facial expressions, body movements and a lot more. You can take your character into your desired background and enhance the look of the image completely. MomentCam allows you to add your desired content in text bubbles. Moreover, the app is getting improvised with every passing hour that makes it the highly preferred platform to indulge in cartoon making. Painnt is one of the most popular Cartoon Making App. Painnt is yet another app that can fill your photo with amazing cartoonish filters and effects. You can add a colorful flair or play with some cool color transitions to give your looks a cartoon touch. You can picture yourself as a comic actor or enhance your image like a professional artist. You can browse through a huge gallery full of over 2000 filters. The app offers free sign up. You can use some of its basic tools for free and if you want to go for advanced tools you can try the premium packages that are classified into per week, per month and per year sections. Prisma is among the renowned apps that are used by professionals and novice users. The app is used by over 120 million active users. It is the app that can turn your image into an appealing artwork. Moreover, one of the biggest achievement of the app is highlighted from the act that it has been awarded the app of the year 2016. It’s not necessary that you can only opt it to put some cartoonish looks. You can turn your photo into compelling art. You can be more creative and use a wide range of features available on the tool. Some special style is there as well that allows instant editing. For all those who love to play funny games with their friends by spoiling their mate’s photo here is what you will enjoy the most. You can get the Cartoon Caricature Face Maker app and make creative cartoonish images for your users. You call add humorous expressions and effects to double the appeal of the picture. The app provides easy to- follow the process to make a caricature. It will let you add fonts, text, filters, effects and many other features. Cartooning yourself is a lot more than just funny. Experts use this technique to add characters to their branding campaigns. By doing so they present themselves as the ace of their brand to interact with customers. By then, the cartoon was nothing than a source of entertainment but now it can play its role in bringing revenues under your business head. It’s up to you how you make the most out of it. You can unleash your creative side and sprinkle with your skills present your creation to the market.